Photo courtesy of zimbio.com. 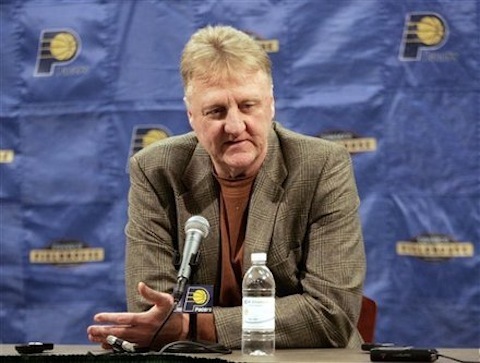 Isn’t it a no-brainer who the Head Coach of the New York Knicks should be in 2012/2013? 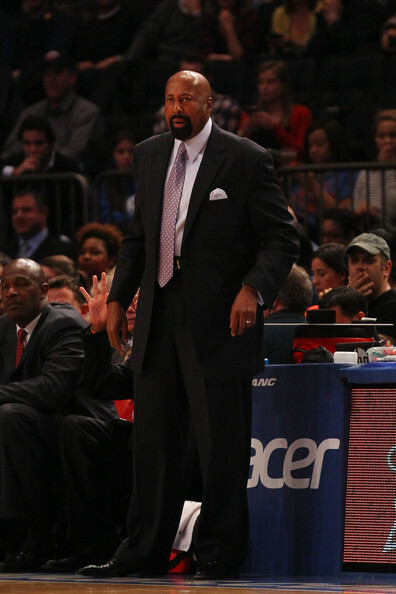 Mike Woodson (pictured above) is clearly the man for the job. 405 and 563. 3 and 14. These are the records of the New York Knicks in regular season and postseason play since the departure of Patrick Ewing. New York has seen better days in terms of basketball to say the least. After finally breaking their woeful record setting 13 game losing streak in playoff play, New York has many question marks as they prepare for Game 5 of their first round series with the Miami Heat. Let’s be entirely realistic though. I have a better shot at winning the lottery than the Knicks do at winning the next three games against the Miami Heat and advancing to the Eastern Conference Semifinals. Who will be manning the New York sidelines during the 2012/2013 season? That is the real question. 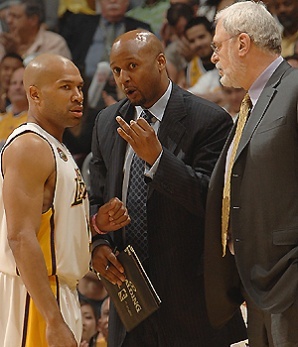 Brian Shaw (Center) appeared to be the man who would get the opportunity to succeed Phil Jackson as the 22nd Head Coach in Laker's history. Sadly for Shaw, he was overlooked for the job. 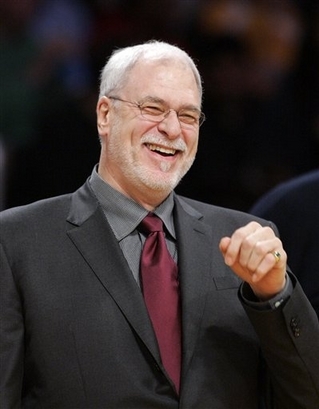 Phil Jackson (pictured above) was not smiling on Sunday. 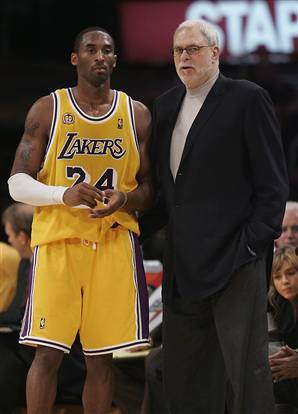 Could Sunday's lopsided loss to Dallas be the last game the 11 time champion ever coaches? Playoffs, MLB action, playoffs, and more playoffs. The sporting world has been defined by playoff action the past couple of weeks and will continue to be for another couple of weeks. Here is a look into the main things that have been on my mind. 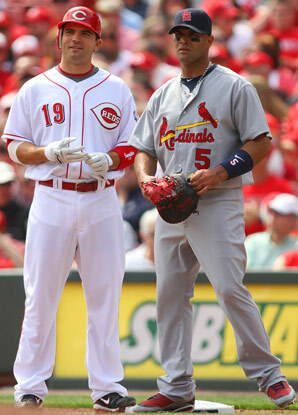 Joey Votto (left) and Albert Pujols (right) will go head to head in Cincinnati as the Reds look to gain ground on the division leading Cardinals this weekend. It is time to start another week in the wide world of sports. Last week was amazing, but it is behind us now. Out with the old and in with the new. 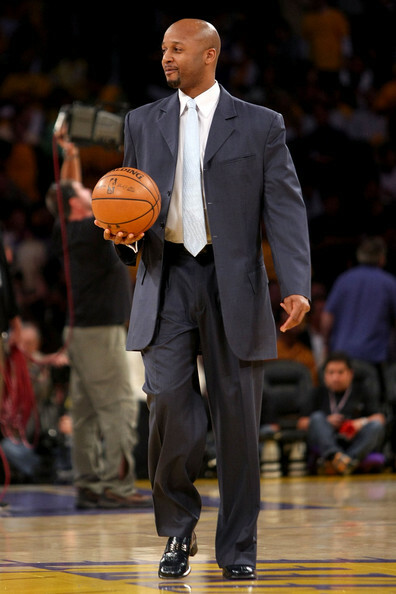 The Kobe and Phil Laker Era appears to be coming to a close. Will it be a happy ending?